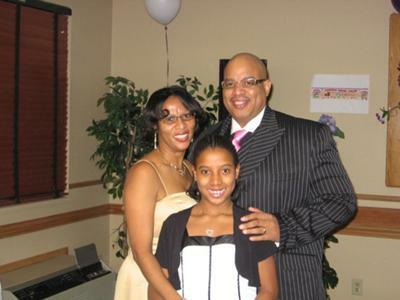 My Pastor Curtis B. Terrell is not only my husband, he is the father of my child. The best leader ever, he has a BIG HEART. He is loving, Great Character, Respectful.. Faithful..
My Pastor is the greatest person I have ever met. He is very sensitive to the Spirit of God. To the people of God, to our family. He is a True Man Of God. He walks the walk and talks the talk. I am so blessed to have him as my Pastor, as my Husband, my best friend. Whenever I need some advice, I will go to him, God will always use him to give me the answer to the situation of which I may be facing at the time. I thank God for him, I am also glad that he answers the call. I give all the glory and honor to my Father which is in Heaven for my husband. BEST MAN EVER.... I LOVE HIM VERY MUCH.